A Living, Crawling, Hell on Earth! Local vet, Dr. Rack Hansen, is investigating the strange death of an award-winning calf owned by Walter Colby, a farmer. Dr. Hansen takes blood samples from the calf and sends them to the university for analysis. A few days later, a scientist from the university, Dr. Diane Ashley, pays a visit to Dr. Hansen and tells him that the calf was killed by a massive dose of venom from spider bites. Dr. Hansen is skeptical, but he and Dr. Ashley go out to Colby’s farm, where they discover an enormous nest of tarantulas. 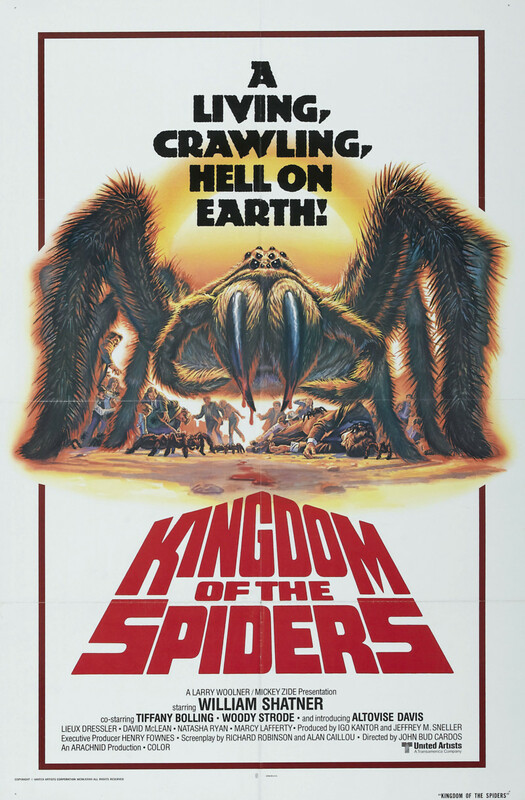 Even worse, they see that the town is now surrounded by a menacing horde of spiders, and there is no way to escape.